France There are 12 products. 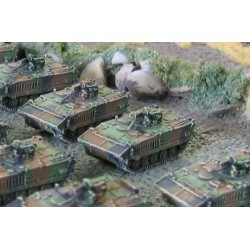 5x AMX30 MBT Models 1/285 Scale Models Supplied unpainted, assembly required unless stated otherwise. Metal parts, not suitable for children 12 and under. 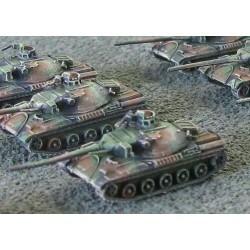 5x AMX 10PC 1/285 Scale Models Supplied unpainted, assembly required unless stated otherwise. Metal parts, not suitable for children 12 and under.  5x VAB VTT 1/285 Scale Models Supplied unpainted, assembly required unless stated otherwise. Metal parts, not suitable for children 12 and under. 5x VAB VCI 1/285 Scale Models Supplied unpainted, assembly required unless stated otherwise. Metal parts, not suitable for children 12 and under. 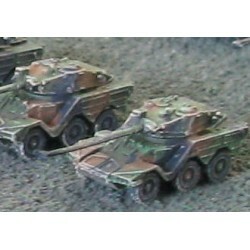 3x AMX10RC 1/285 Scale Models Supplied unpainted, assembly required unless stated otherwise. Metal parts, not suitable for children 12 and under. 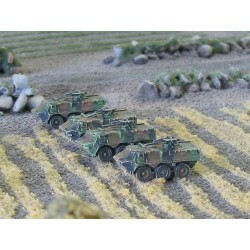 5x AML H90 F1 armoured car 1/285 Scale Models Supplied unpainted, assembly required unless stated otherwise. Metal parts, not suitable for children 12 and under. 5x AML HE60 1/285 Scale Models Supplied unpainted, assembly required unless stated otherwise. Metal parts, not suitable for children 12 and under. 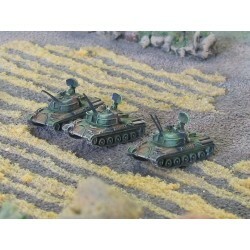 5x ERC 90S Sagaie 1/285 Scale Models Supplied unpainted, assembly required unless stated otherwise. Metal parts, not suitable for children 12 and under. 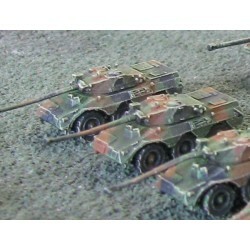 5x VBC 90 1/285 Scale Models Supplied unpainted, assembly required unless stated otherwise. Metal parts, not suitable for children 12 and under. 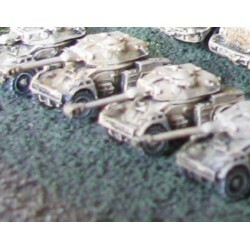 5x AMX 30GCT 1/285 Scale Models Supplied unpainted, assembly required unless stated otherwise. Metal parts, not suitable for children 12 and under. 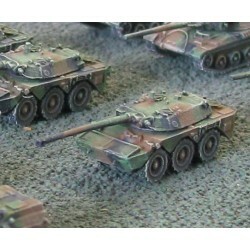 3x AMX DCA 1/285 Scale Models Supplied unpainted, assembly required unless stated otherwise. Metal parts, not suitable for children 12 and under.